Product Size: 36″ (Front Width) 20″ (Depth) 54″ (Height). 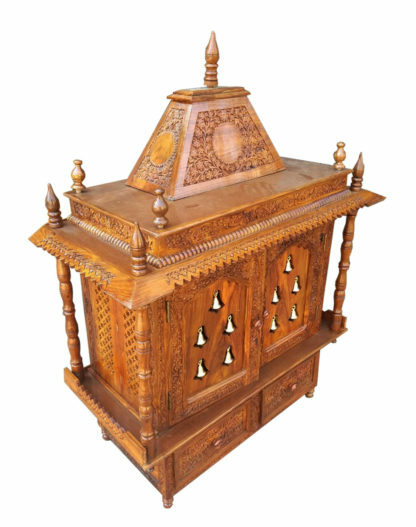 Temple Internal Size: 28″ (Inner Width) 16″ (Inner Depth) 21(Inner Height). 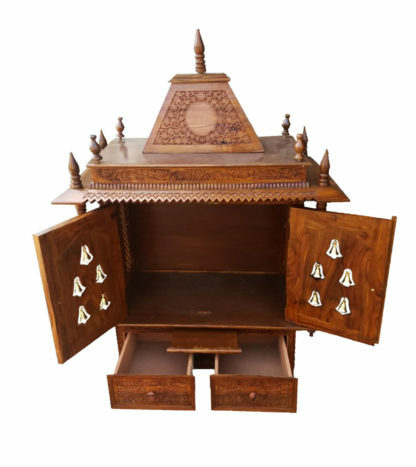 Aarsun Woods Brings to you the Handmade Wooden Temple in Sheesham Wood with fine carving and finishing.There is beautiful single dome at the roof top with side carving. 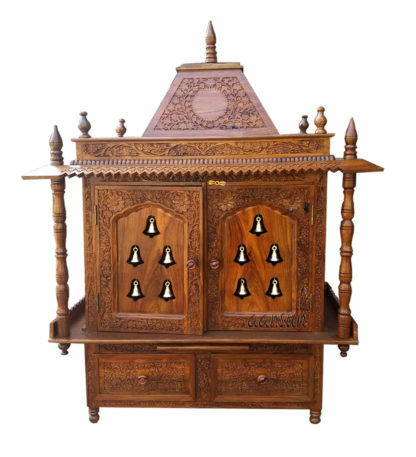 Below that there are Doors at the front and it consist bells. There are wooden pillars carved at the front of the temple and the side area is covered by wooden jaali. There is ply wood use at the backside, At the base area and at the ceiling of the temple. At the base of the temple there is 2 wooden drawer placed along with sliding tray. 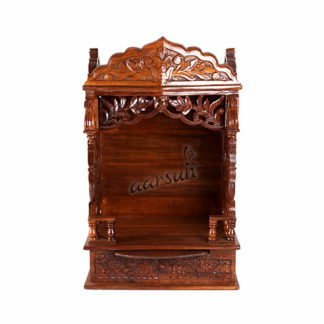 The drawer are beautifully carved by our experienced craftsmanship. The temple stood up at the 4 legs and best suitable for the home. 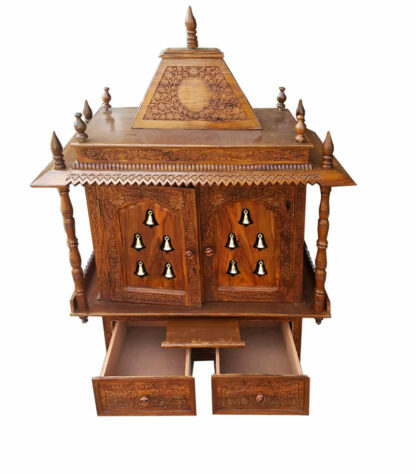 The Temple is made in sheesham wood. 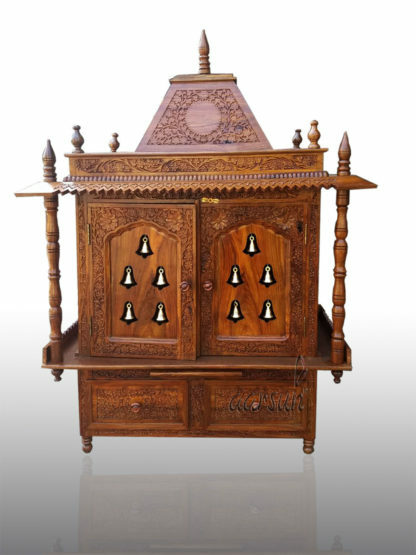 The best place to serve your deity at your home. 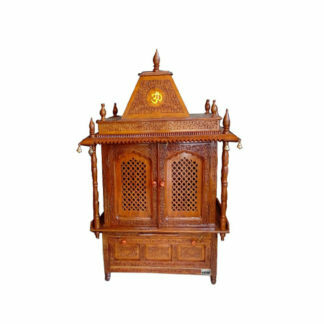 If you are looking for Sheesham Wood Temple , and for other designer Teak Wood Temple for,also at Mango Wood Temple.